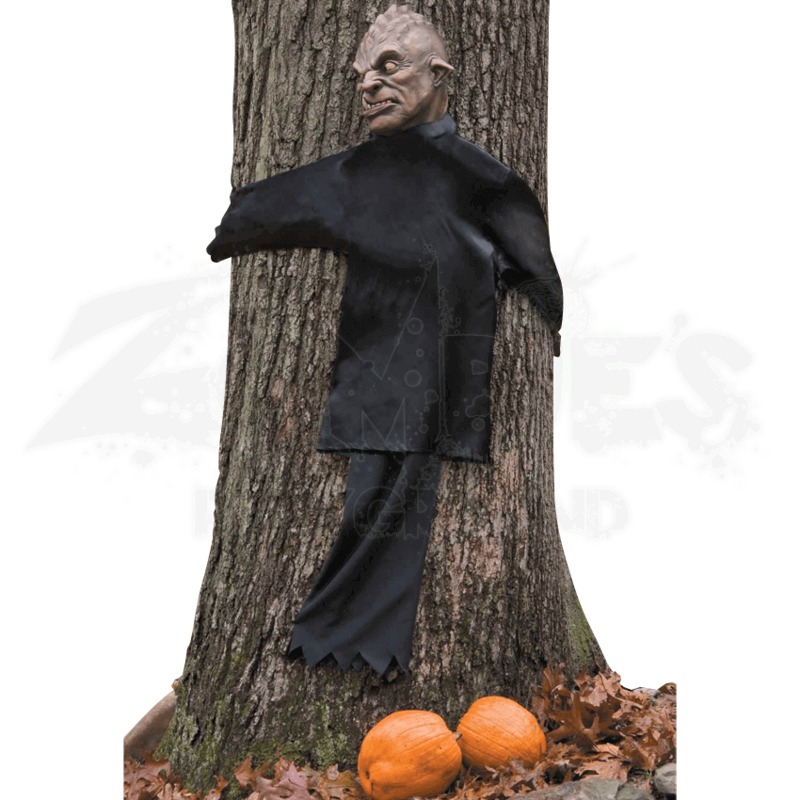 Who knew that zombies loved trees as much as they loved human flesh and brains? No one, apparently, which is why the Zombie Tree Hugger is a startling decoration. This zombie happens to look very creepy, too. This zombies face is perhaps its most startling feature, if only because while it definitely looks zombie-like, it also looks decidedly inhuman. Several bony ridges run back along the surface if its skull, while it one large fang peeks out over the upper lip. Its ears are sharply pointed, and its yellow eyes are focused on trying to look around the tree. The zombies hands feature the black claws and small attachments where a strap can attach the zombie to its preferred victim or tree. This props head and hands are made from hard plastic, while the shirt and pants it wears are polyester. It is easy to set up and can be used effectively indoors or outdoors. 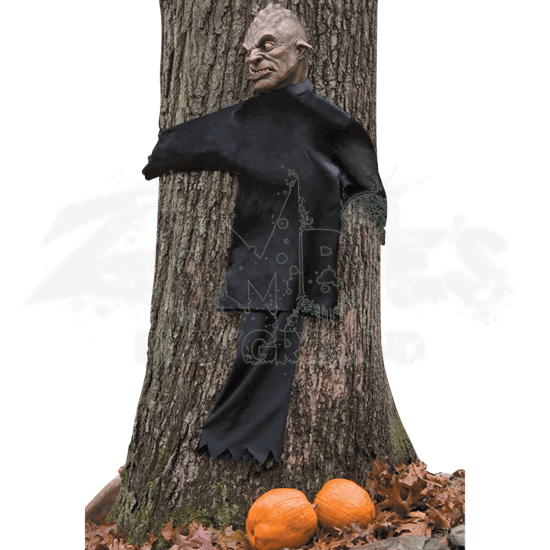 Wrapped around a tree or hung from a window, this Tree Hugger Zombie is definitely an impressive and eerie decoration that will certainly have all passersby taking a second glance at the trees in your yard.